Suddenly, Beckett is everywhere. His plays are not just being staged, but selling out. He may be the most pertinent writer for our absurd and chaotic post-truth times, as we struggle to find purpose, meaning and reason for hope. Irish-born Samuel Beckett was one of the most important and influential writers of the last century. His plays changed our notion of theatre. His novels and short stories created a new kind of fiction, a fearless examination of human anxiety which leads to profound expressions of hope. He may be the most pertinent writer for our age, as we struggle to find meaning and purpose in absurd and chaotic post-truth times. "I think what Beckett captures is what it is to be human, and touches a kind of truth that terrifies some but makes others feel like they have company for the first time," actress Lisa Dwan told The Sunday Edition's host Michael Enright. She said Beckett's work deals with "our futile attempts to avoid the despair of our impending death, of our own loneliness ... but Beckett also celebrates that defiance." "For me, Beckett makes me feel less alone, and he has introduced me to my self — my real self. Not the self that society would let me have, the little palatable realities," Dwan said. 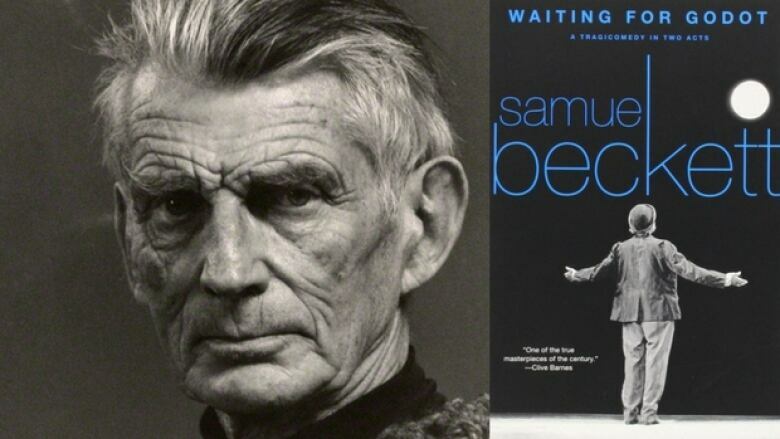 Beckett won the Nobel Prize for Literature in 1969, and died 30 years ago this year. 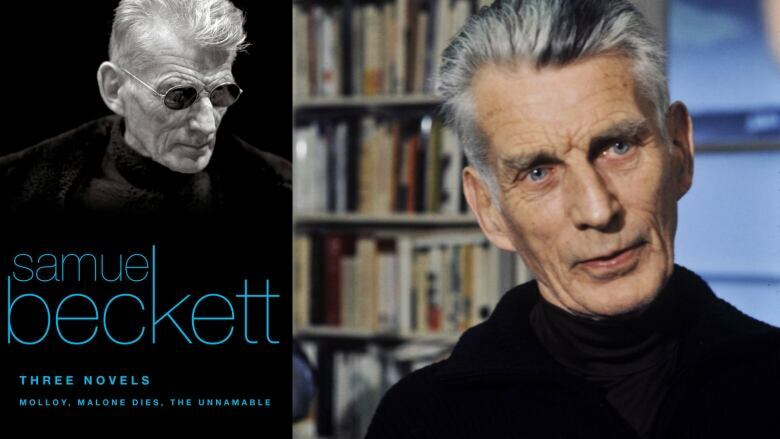 To celebrate this extraordinary writer, The Sunday Edition dove deep, illuminating Beckett's life and work through interviews with several contemporary artists whose careers he has profoundly influenced. 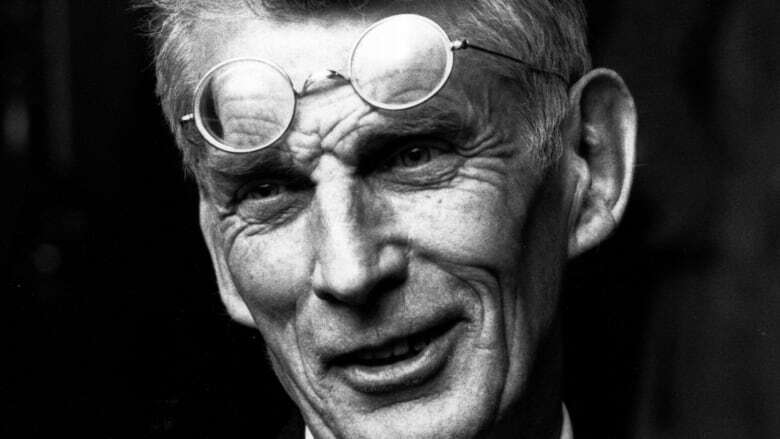 It's thought Samuel Beckett was born in Dublin on Good Friday in April, 1906, which also happened to be Friday the 13th. It was a date in which he took great pleasure. Like James Joyce before him, Beckett was a Dubliner who made his life in Paris, and wrote his best-known works first in French. In contrast to his plays and fiction, his life in Paris was eventful. In 1938, he was stabbed in the chest by a man named Prudent. Beckett decided to drop the charges against his attacker, because Prudent apologized and seemed like a good guy. While he was recovering from the stabbing, Beckett began his lifelong relationship with Suzanne Déchevaux-Dumesnil, whom he married in 1961. Beckett remained in Paris through the Second World War and the Nazi occupation. He became an active member of the French resistance and was awarded the Croix de Guerre and the Médaille de la Résistance. Beckett's experiences in the war and its aftermath infused his aesthetic. In his work, everything is worn out, shabby and ill-fitting. The landscape and the interiors are desolate and broken, and everyone seems bewildered and haunted by some unnamable trauma. Yet, they endure. Sixty-six years ago, on January 5th, 1953, Waiting for Godot was first performed in Paris. Two sad-sack old men, Vladimir and Estragon, pace back and forth and wander in circles across a barren set — downtrodden tramps waiting for as long as they can remember for the mysterious Godot. They pass the time with bickering, commiserating and circular conversations interrupted only by the bizarre spectacle of the bombastic Pozzo and his slave named Lucky. And by the arrival of a boy who tells them Godot won't come today, but almost certainly tomorrow. So they wait for Godot. Godot doesn't come. And nothing happens. Except for a new kind of theatre. Godot gave Beckett a forbidding reputation for bleakness, absurdity and austerity. Confronted by the lack of plot, action or sense, a lot of people encountering Beckett come away as baffled, bored and frustrated as Vladimir and Estragon themselves. The plays that followed became increasingly spare and difficult. His fiction confounded the very nature of plot and character — even of sentences and paragraphs. But Beckett's writing contains many more dimensions than despair and meaninglessness. It's full of humour, defiance, resilience, and an exuberant love of language. It's a search for the truth about our existence as individuals and as the most tragicomic, the cleverest and most foolish, of species. That would certainly describe Beckett's one-man play, Krapp's Last Tape. For 45 minutes, the audience watches a dishevelled man mark his 69th birthday by eating a banana, rummaging through boxes and his pockets and listening to reel-to-reel recordings of himself from three decades earlier — brooding over the failures, dreams and insights of a younger version of himself. Like so many of his plays, Beckett's most-read novels — the trilogy of Molloy, Malone Dies and The Unnamable — are monologues. Sentences are sometimes short and repetitive, and sometimes go on for pages, unblemished by punctuation. Lucidity and a kind of poetic madness co-exist in the same paragraph. 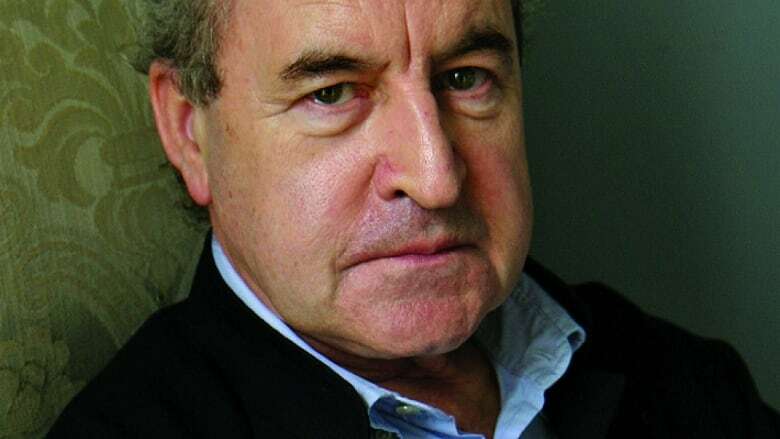 The Irish novelist John Banville is one of Samuel Beckett's most fervent admirers and a pre-eminent heir to Beckett's revolution in writing. He won the Man Booker Prize for his 2005 novel, The Sea, and he's considered by some to be the greatest writer of English prose today. He spoke to Enright about both Samuel Beckett the man, and Samuel Beckett the towering literary figure. Samuel Beckett asks a lot of his readers. But he asks even more of his actors, who likewise struggle to find their way through the strange rhythms of his plays. And not just to understand them, but to convey that meaning to an audience while being faithful to Beckett's notoriously specific stage directions. 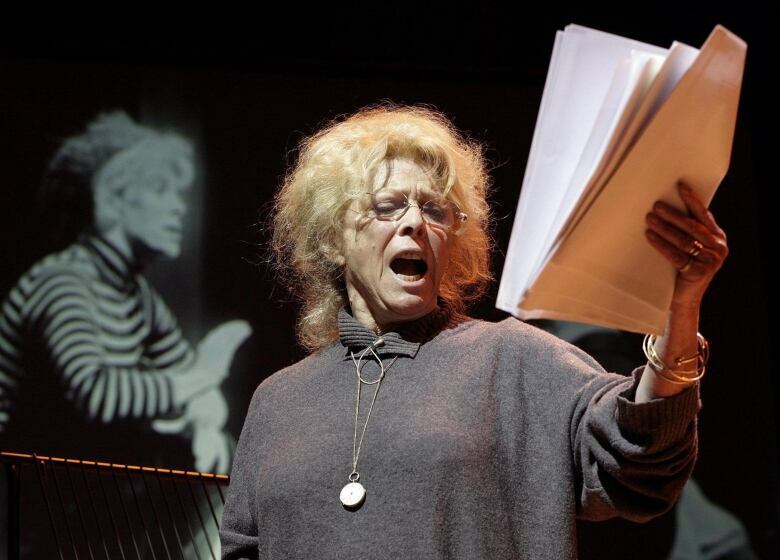 The actress Billie Whitelaw described Beckett's stage directions as instruments of torture. Perhaps no Beckettian play is more punishing than Not I. The theatre is completely dark, the only thing visible being a woman's mouth eight feet above the stage, speaking incredibly fast. It's a role that's been said to drive actors mad. The Irish actor Lisa Dwan — who has been heralded as Billie Whitelaw's heir as an interpreter of Beckett's female characters — has made "Not I" her signature role. She spoke to Enright about what she's learned through her career interpreting Beckett's one-woman plays. Samuel Beckett's wife, Suzanne, died on June 17, 1989. Beckett died five months later, on December 22, 1989, hours after the winter solstice … the point at which the days start getting longer. Something that a Beckett character might see as a mixed blessing. A plain granite gravestone at the Cimetière du Montparnasse in Paris marks their resting place — Beckett had stipulated, after all, that he wanted it to be "any colour, so long as it's grey." Click "listen," above, to hear our one-hour documentary, Words Are All We Have: Samuel Beckett and Our Times.